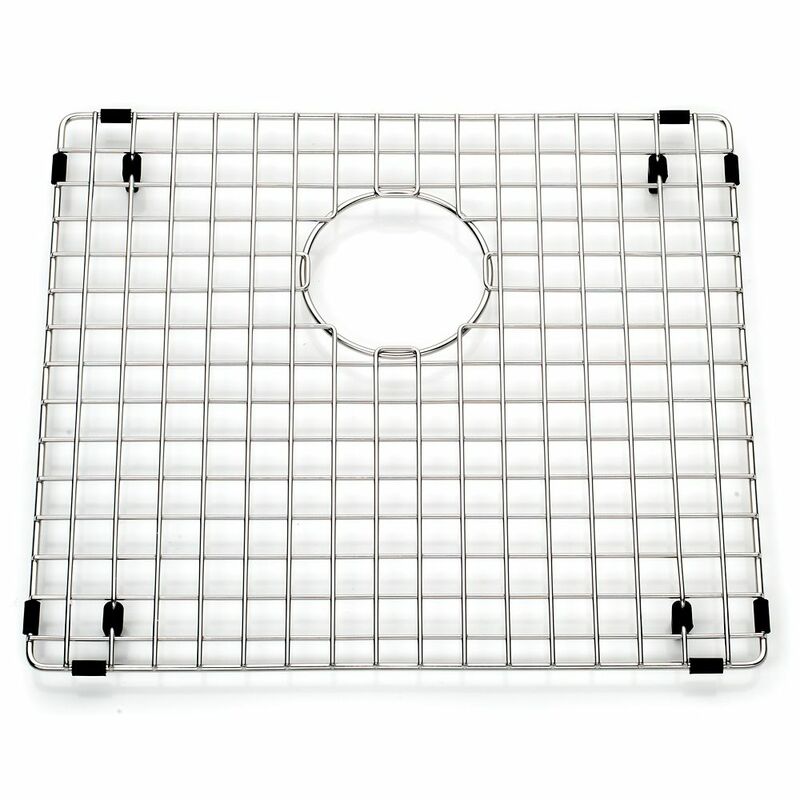 SS wire bottom grid - 14-7/8" X 16-7/8" X 1" Stainless steel bottom grid to protect sink bowl from scratches. Includes rubber feet, side bumpers, and hole for access to sink waste hole. Dishwasher safe and heat resistant. SS wire bottom grid - 14-7/8" X 16-7/8" X 1" is rated 5.0 out of 5 by 1. Rated 5 out of 5 by Jenny from Great but too expensive! Really great product and durable. It put luxury in your sink :). No complain except the price. It is too expensive.